Obituary for Betty J. (Meszaros) Geiger | Kaniewski Funeral Homes, Inc.
Betty J. 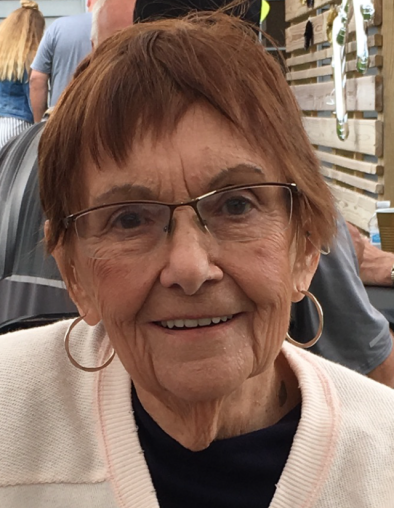 (Meszaros) Geiger, 85, of South Bend, passed away on Sunday September 9, 2018 in her home surrounded by her family. She was born on September 26, 1932 in South Bend to the late Casimir and Anna (Bogunia) Graczyk and was a lifelong area resident. She was also preceded in death by a daughter, Cindy (Meszaros) Barkley, husband Joseph J. Meszaros and husband Paul D. Geiger; two sisters, Janet Luczkowski and Sandy Royce and a daughter-in-law, Karen Meszaros. She is survived by her two daughters, Renie (Dale) Strzelecki of Granger and Kimberly Meszaros of South Bend, her son, Joseph C. Meszaros of South Bend; eight grandchildren and two great-grandchildren and many friends and relatives. Betty worked for Kroger in the Deli/Bakery until she retired in 1996. Parishioner of St. Casimir Catholic Church, where she was a member of the Senior Citizens Group. Mom enjoyed dancing the polka any chance she had, be it dance floor, outside patio or on a boat or table top, always up for the occasion and the life of the party. Mom spread love, laughter and joy where ever she went. Values instilled in her children, grandchildren and great-grandchildren. Mom loved her Heavenly Father and was steadfast in her faith instilling these values in her family. In this faith in our Heavenly Father is where we will find our strength to carry on in life until we meet again in our promised land with our Lord. Visitation will be from 4 to 8 p.m. Friday September 14, 2018 at the Kaniewski Funeral Home, 3545 N. Bendix Dr., South Bend, where a Parish Rosary will be prayed at 4:30 p.m. A Mass of Christian Burial will be celebrated at 10 a.m. Saturday September 15, 2018 at St. Casimir Catholic Church, with burial to follow in St. Joseph Cemetery, South Bend. Our family would like to express our heartfelt thanks and appreciation to two amazing women, Sue Adams and Lynn Green, for the loving care they provided to our mother over the last two years. God Bless you both. Our sincere thanks to Center for Hospice, Senior Helpers and Alicks Home Medical for their support in our time of need. Memorial contributions may be made to Hospice Foundation, 501 Comfort Place, Mishawaka, IN 46545-5234. To send online condolences, please visit www.kaniewski.com. HEY MOM HOPE THERE ARE ENOUGH SWEETS IN HEAVEN FOR YOU, WE LOVE YOU!